forgot to defrost my thighs….can i put them in slow cooker frozen?? Why is this 5 points? Chicken is zero and the vegs are as well ? 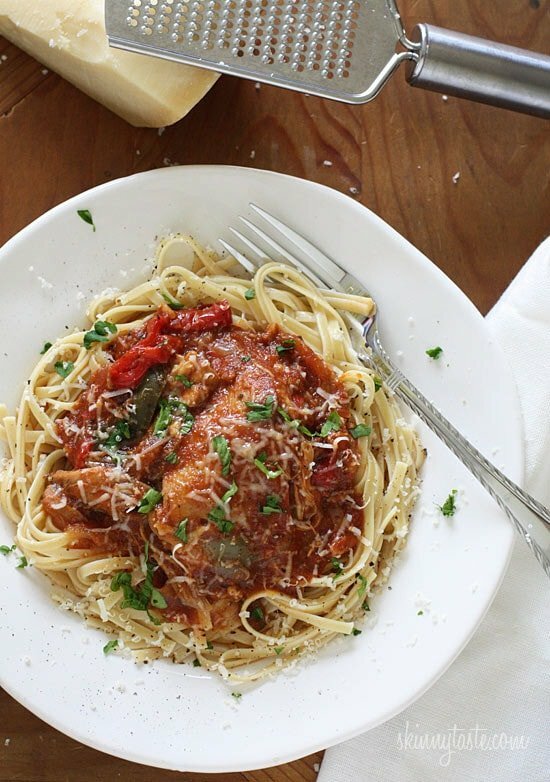 Heads up the link for “I’ve also now included an Instant Pot Chicken Cacciatore recipe. Enjoy!” doesn’t work. Thanks Kortney! It should be working now! Can I use thighs without the bone or chicken legs? Which one would b better ? Do u prefer low or high for cooking. I have time either way. Which one is better? Bone-in Thighs are DEFINITELY better. I put this on WW recipe builder exactly as is with 8 servings and it came up 3 points not 5. Why the difference in points? If you use chicken breast its 0 with the new FS plan. 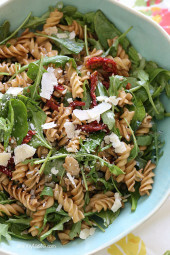 This recipe is delish as is all on this site!! Great recipe! Very tasty sauce. Meat was moist, tender and just fell off the bone! I did add minced garlic. I can’t make an Italian dish without garlic. Next time I will add corn starch. It was too thin for me.. I’m going to try some sliced black olives too. Thanks for the recipe! If I want to half this recipe do I need to adjust the cooking time? Made this last night. I cook from Gina’s recipes ALL the time and love everything. This is the first time I didn’t fall in love. Very little flavor to this. I added plenty of slat and pepper, too. I think some garlic and Worcestershire and maybe some grated carrots would have added a lot. I will try that next time. The chicken just falls of the bone! Lovely! Don’t even need a knife! Why is this 5 points if it doesn’t include the pasta? What kind of Mushrooms do I put at the end for the last hour? There are no mushrooms in the ingredient list, but I’m sure you could add whatever kind of mushrooms you like. Can you use chicken breast instead of thighs with the same outcome in taste, I have 3 breasts defrosting I want to use? Delicious!! Big hit with my hubby!! I added capers instead of the peppers…no pasta for us, served it over broccoli…Very healthy and Very tasty!! Adding it to the weekly menu!! Thanks!! Should the chicken be shredded when done cooking? 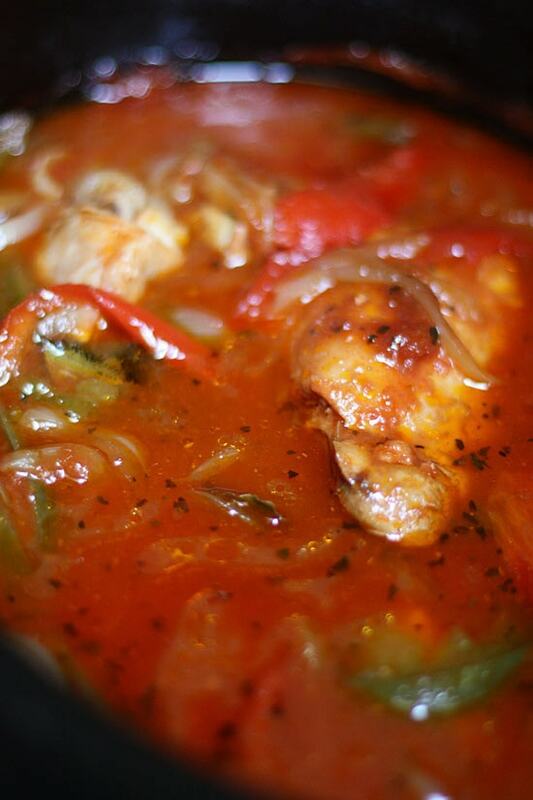 I have never made any version of chicken cacciatore before! No you don’t have to unless you want to. Eight hours on low in the slow cooker was way too long. So far all the recipes I’ve tried on this site have come out great, except for this one. I bought the ingredients for this today for dinner tonight. I’m wondering, could I do think in a Dutch oven too. If so, for how long. Thanks so much. I love Skinnytaste and have been following you for years. Easy, tasty, and my granddaughter approved! Easy, delicious, and only 5 Freestyle Weight Watcher Points, this crock-pot gem makes a delicious meal for 4. The meat falls off the bone easily and the flavor is just perfect. I “cheated” a bit by adding a potato cut into small, bite-sized pieces. 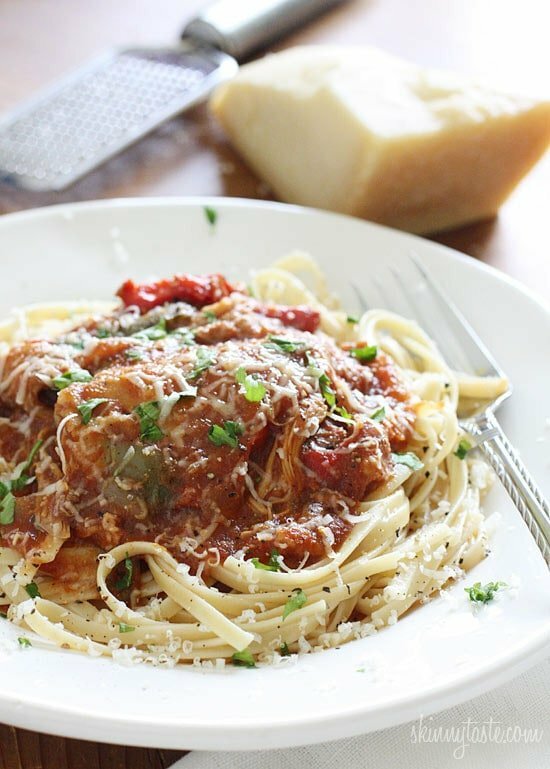 If you are a purist and want to forego the almost obligatory pasta, try pouring your portion over half of a Sandwich-Thin as you’ll need something to mop up the delicious juicy sauce that this cacciatore will produce. I made this dish in a crock pot, in about 5 hours alternating between high and low temps, but Gina includes directions for cooking it (really fast) in an InstantPot. That’ll be my next project.It is so nice to know that delicious can also be healthy. Thanks! 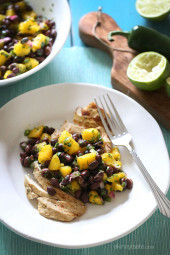 One of my favorite Skinnytaste meals! 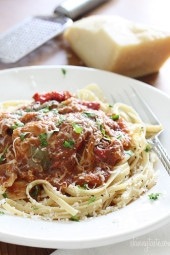 I love that you can whip up something so delicious in a slow cooker. I love to add mushrooms, zucchini, and yellow squash to this as well! Made this with chicken breasts and served it over spaghetti squash for zero points. Leftovers will make great lunches. So easy and delish. I want to add more chicken to serve 12. Do I need more sauce? Would this be 0 points on the new plan? Delicious and easy. I used bone-in chicken thighs and the meat just feel off the bone when it was done. Moist and tasty. I froze half and had had the rest over linguini. This was fabulous! I made with chicken breast to adhere to WW Freestyle. Zero points for the sauce/chicken and used dreamfields rotini pasta for 5sp (3/4 cup). That was the only pasta I had on hand. Will make again! Great recipe Gina! How much a chicken breast did you use? I cut up four small/medium breasts– probably 2.5 lbs. I used the whole onion and peppers and more mushrooms to get more meals out of it.